My Skin Pharmacy carries a range of sensitive products ranging from sensitive cleansers, fragrance free, preservative free lotions and creams, mineral make up through to specialist recommended prescription tablets, creams and specially formulated creams. No matter how severe your rosacea is, My Skin Pharmacy will find a solution. We stock internationally renowned medical grade products and prescription creams and tablets. Our facility consists of specialists, nurses, make up artists and pharmacists, all dedicated to treatment of your rosacea. Avoiding the sun and using a high quality sunscreen is the best way of preventing flare ups. For some people alcohol can trigger rosacea. When using any skin care products, aim for very basic ingredients. Try to avoid preservatives, parabens and fragrances as these can trigger inflammation on the skin. Avoid skin care products that can irritate the skin. Avoid soaps, use gentle cleansers. Try avoiding factors that cause the flare ups. Combination of prescription and skincare regime provide optimum outcomes than single treatments alone. Response can take up to 6-8 weeks depending on the type of therapy. Hot food and spices can trigger rosacea. Make up choice is important if you have rosacea. Letting your skin breathe and also using high grade mineral make up should be part of your rosacea management plan. A good quality mineral make up will be free from heavy metals, parabens fragrances and preservatives. Some of these additives can trigger rosacea. 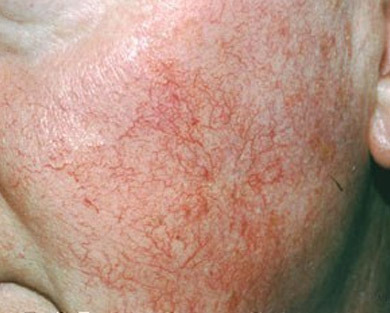 It is characterised by dilated blood vessels on the surface of the skin producing redness and flushing. The exact cause of rosacea is not fully understood. There are suggestions that the lymphatic system does not effectively remove the excess tissue fluid from the increased blood flow and there could be a microorganism component involved. Family history and environmental factors are linked to the condition. Sunlight damage to skin tissue may be a cause but is also a common trigger for rosacea. 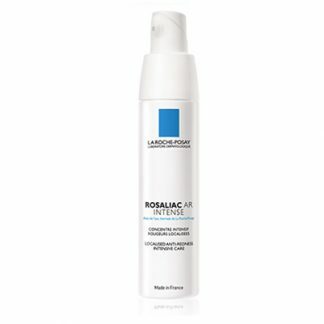 WHAT IS THE BEST TREATMENT FOR MY ROSACEA? The best treatment for rosacea is a multifactorial approach. Assessment from a specialist is very important to have the condition diagnosed. 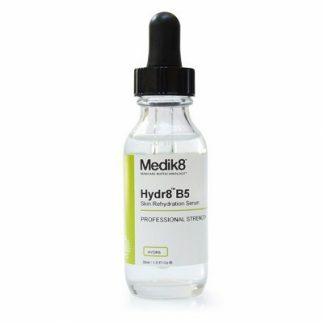 Most patients respond best with a combination of prescription and overhaul of their skincare regime. Common prescription items include Metronidazole gel and Doxycycline tablets. WHAT MEDICATIONS ARE PRESCRIBED FOR ROSACEA? The following medications listed are commonly used in the treatment of rosacea. 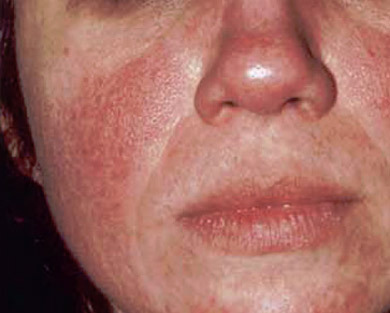 There are different forms of rosacea therefore clinical diagnosis is necessary for the correct treatment. Metronidazole gel or cream is an antibacterial and anti-protozoal agent with possible anti-inflammatory effects. Its effects on rosacea are not fully understood but have been commonly prescribed and are very effective in the treatment of rosacea. The gel or cream is very well tolerated by most patients. Azelaic Acid gel is commonly prescribed for rosacea. 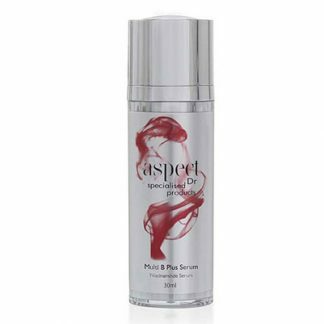 It is an antibacterial agent and believed to have anti-inflammatory effects beneficial to rosacea. Brimondine gel is relatively new to Australia and is an effective medication to treat the redness associated with rosacea. The active substance was traditionally used as a eye preparation for glaucoma. The gel constricts the blood vessels to reduce the reddening. It is applied daily and lasts up to 12 hours. Results with treatment seem to be better after a few weeks use. Doxycycline is an antibiotic tablet commonly prescribed by physicians. A course of antibiotics is usually taken for 3-4 months. The medication should always be taken with food and a glass of water. Medications and supplements can interfere with the tablets so make sure you get the correct advice from a health professional. Sun protection is essential when taking these tablets. WHAT SKINCARE PRODUCTS ARE IMPORTANT IN ROSACEA MANAGEMENT? 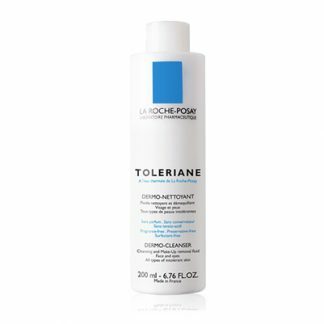 Products which are free from fragrances, parabens, surfactants and harsh chemicals are important for the treatment of rosacea. Generally, the less ingredients the better. This does not necessarily mean that natural ingredients or products are better. Some natural ingredients can also have irritant effects. 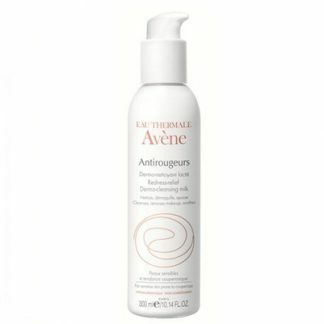 Cleansing the skin with a gentle cleanser twice daily to remove any excess dirt, chemicals and pollutants are important. 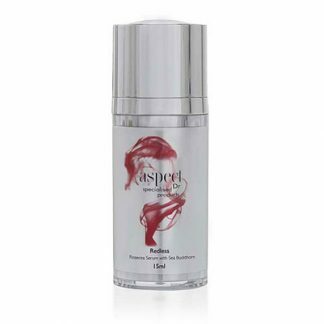 Using a hydrating moisturiser once or twice daily to maintain the skin’s natural barrier function is important. Most notably use a broad spectrum with a high UVA protection, high SPF sunscreen to protect your skin from UV damage. Not all sunscreens are made the same, so choose carefully. 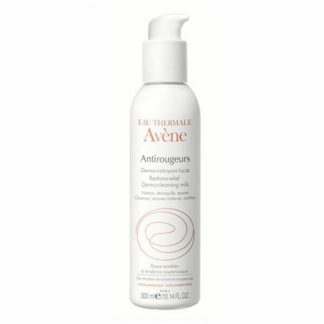 If you want to try a skincare product without the need to be on prescription, here is a product which is very effective in treating the redness associated with rosacea. SkinMedica Redness relief complex is made by a large multinational pharmaceutical company with clinically backed results. Individuals trialling the products saw results within 2 weeks. Always keep in mind to continue the use of a high protection SPF 50+ sunscreen and only use gentle cleansers. DO I NEED TO EXFOLIATE? Exfoliation is important to allow the healthy turnover of skin cells. Physical exfoliants with basic ingredients are preferred, as this is a much more gentle way of exfoliating the skin. Exfoliation lifts aware the dead skin cells leaving you skin looking rejuvenated, even toned and more plump. The choice of make up is an important step in your rosacea management program. Using incorrect make up can be the cause your rosacea or even irritate your skin and trigger your rosacea. Look for a mineral cosmetic free from parabens, phenoxyethanol and that has a low risk to allergic reactions. In essence, there will be a low chance of having chemical and photo-sensitivities. Not all mineral make ups are made the same. Traces of some heavy metals such as Nickel, Cadmium, and Copper can irritant to the skin. Make sure that your mineral make up conforms to these testing’s. Other added benefits include giving you excellent coverage for your face whilst at the same time giving you a sun protection. The skin does not feel heavy with coverage and feels feather light, in turn is allowed to breathe naturally. WHAT CAN I DO TO REDUCE MY ROSACEA?